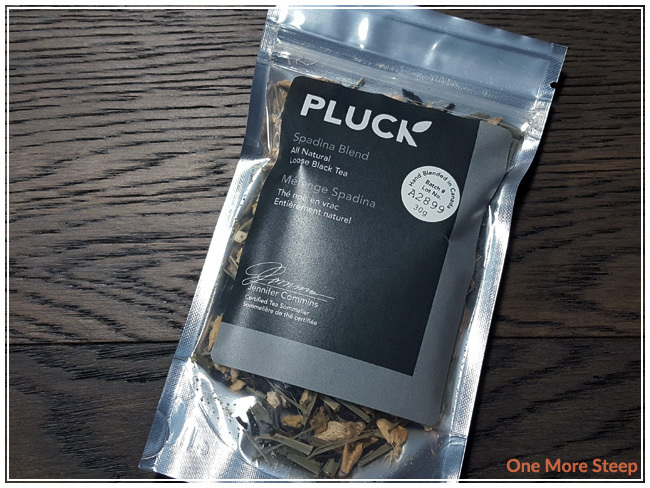 Pluck’s Spadina Blend came to me as part of The Sugared Teacup’s June themed subscription box. Spadina Blend is described as being inspired by Toronto’s Chinatown, and it’s not surprising based on the ingredients found in this black tea blend. Pluck describes it as having notes of “lychee, lemongrass, ginger, and coconut” and besides the coconut, the rest of the ingredients are very familiar to me as someone who grew up going to Vancouver’s historic Chinatown on a weekly basis. The first thing I could smell when I opened up the bag of tea was the mix of lemongrass, ginger, and coconut. The lychee fruit has a sweet floral aroma to it, and I did note some sweet fruity smells to it, but nothing overly floral. I must acknowledge the fact that lemongrass and ginger are both very strong aromas, so it’s hard for something delicate and floral to make an impact in comparison. 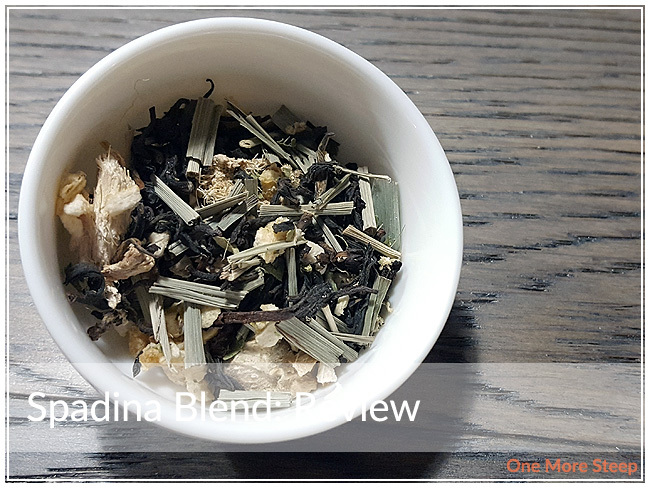 In Spadina Blend is the following ingredients: black tea, lemongrass, dried ginger pieces, dried mango, unsweetened coconut, lime leaves, natural flavours. Pluck recommends steeping Spadina Blend in 100°C (212°F) water for 5 to 7 minutes. I opted to do my initial steep for 5 minutes. Spadina Blend steeps to a beautiful golden orange, it’s such an inviting colour! 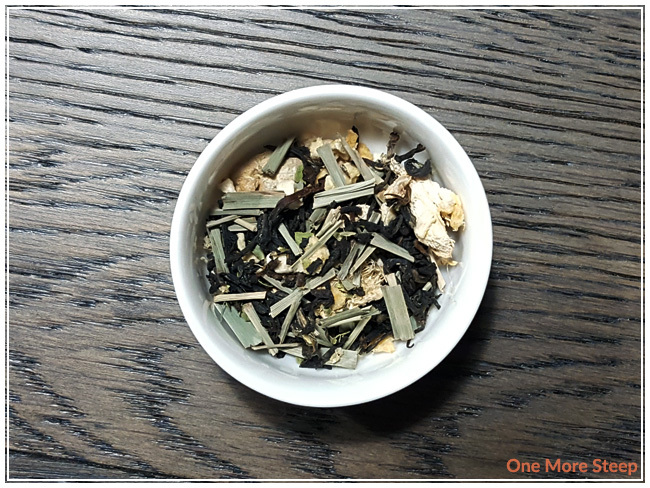 The aroma from this tea is primarily ginger and lemongrass, which I don’t find surprising given how intense those ingredients can be on their own, in teas, or in a dish. This tea honestly reminds me a lot of when I was younger and if I was sick or had a sore throat, because my mom would make me a drink that had a lot of ginger in it (and honey). The taste of this black tea blend is primarily lemongrass and ginger to me, I didn’t really taste a lot of coconut or the mango, but I can smell the lime from the lime leaves. 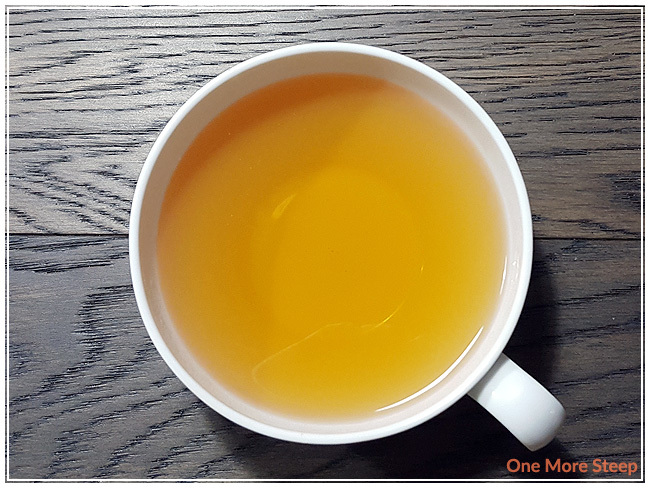 There’s a hint of spice to this tea from the ginger, and sweetness that I believe to be derived from all the fruit that is in this tea, which helps to balance out the ginger. I set aside a cup of this tea to cool down to room temperature before I added some ice. I think it makes a fantastic iced tea, the ginger adds a bit of refreshing heat but the other flavours get to be more forward when the ginger is toned down. There’s more fruity notes that I can make out when the tea is iced and it allows me to taste more of the other ingredients, which is nice. I resteeped Spadina Blend once, and found that the flavours were lacking compared to the initial steep. The intensity of the lemongrass and ginger wasn’t there anymore, and the rest of the flavours were a bit muddled in the background. I would say that Spadina Blend is good for one steep only. I liked Pluck’s Spadina Blend. The ingredients are a nice window into Chinese ingredients, and the ginger and lemongrass were very forward and bold ingredients that Pluck had chosen for this black tea blend. I found that when hot, this tea reminded me a lot of the times when I was sick as a child and that the ginger was the strongest part of this tea. However, when iced this tea is so different. 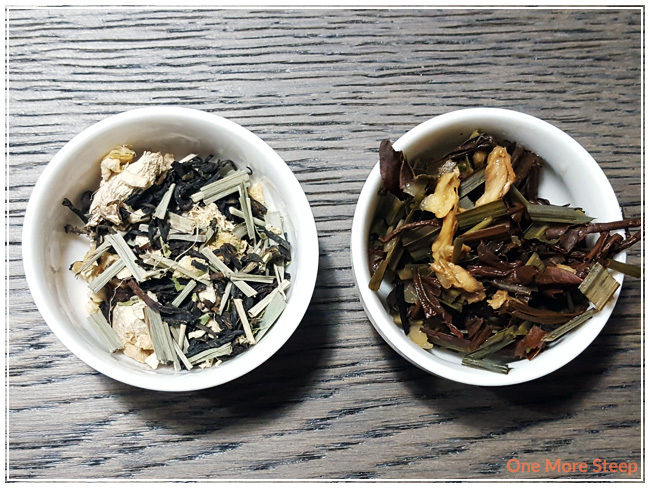 The other flavours get to come out to play, and there are more fruity notes in this tea which balance well with the strength of the ginger.